By coordinating and facilitating family group meetings, Carl Arnold and Katie Arnold can help caregivers, extended families, parents and other loved ones to have important conversations about important transitions and life decisions. 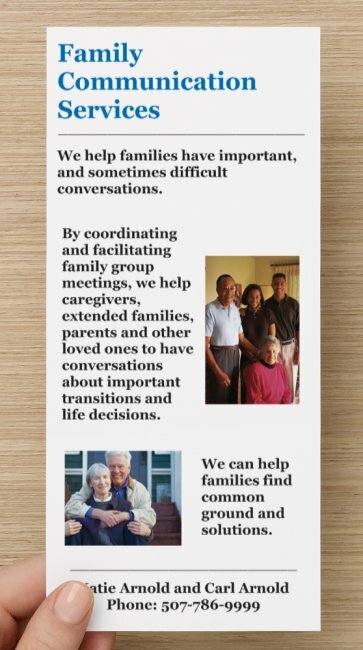 We call our services related to scheduling and facilitating family group meetings "Family Communication Services". We can phone conference or video conference in family from miles away! 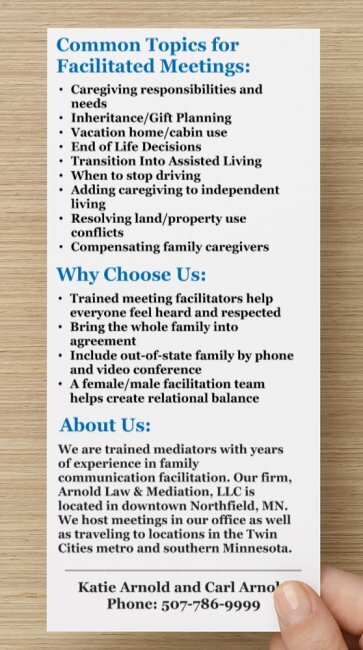 We can meet families in at our office in Northfield, Minnesota or at a residence, care facility, law office or hospital in the Twin Cities or Southern Minnesota. We travel!